There’s no doubt that Sonya Hussyn is one the most stylish and well-acclaimed actress of our industry. She has left no stone unturned to achieve her goals and she made her name in the Pakistani cinema. 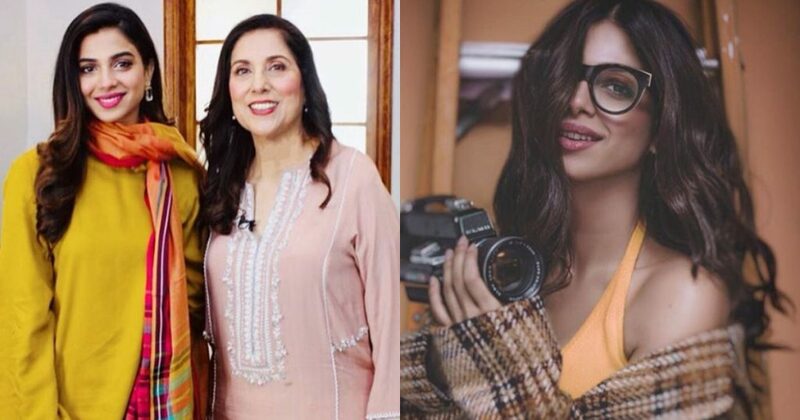 The Azaadi actress keeps shush about her personal life but recently she spilled the beans about her love life in an interview with Samina Peerzada. She also revealed that her father parted ways with her mother which left her heartbroken but eventually she overcame that and accepted the fact that you can’t find another set of parents and cutting ties with them is not the answer. How inspiring is that thought! Here’s her full interview if you all want to more deets! Looks like Sonya went through her own hard times that she usually keeps mum about. What do you guys think? On the professional front, Sonya Hussyn is currently acting in the star-studded drama ‘Aangan.’ The actress has constantly been under the limelight and people just cannot stop gushing her. A girl like her can land on absolutely anyone she lays a finger on and we really hope that Sonya gets her fairy-tale with the man of her dreams and until then she can go on and inspire more women out there by her success! After watching the above video what was that one thinks which you loved about Hussayn? Do you agree to whatever she says and does? Or would you probably do it differently? Do give us your feedback about the interview and Sonia’s take on life, what would it be for you? Career or love life? Let us know in the comments section!